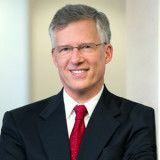 Justia Lawyer Directory Search for "Richard Charles Weinblatt"
Search for "Richard Charles Weinblatt"
Richard is an experienced and skilled attorney working in the Charlottesville, Virginia office of Allen & Allen. He has dedicated his career to fighting for justice for his clients, guided by a singular philosophy: the case belongs to the client. Richard focuses on a variety of personal injury matters, including wrongful death, automobile and tractor trailer accidents, and accidents involving drunk drivers. After receiving his law degree from the University of Virginia, Richard worked as a public defender in New York City for 13 years. He returned to Virginia in 2000 and continues to litigate cases in the Commonwealth. 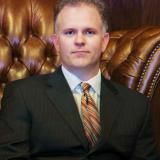 Attorney Richard C. Marquette advocates for clients facing a variety of legal matters, including divorce, custody and visitation matters, and alimony disputes. 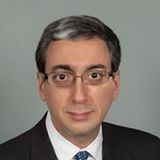 He has more than 25 years of legal experience and knows how to pursue favorable results on behalf of his clients. 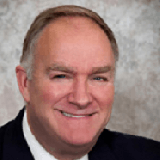 Over the course of his career, he gained an invaluable amount of insight and knowledge on how the family law court works and is prepared to help his clients navigate even the most complex cases. He has been given an AV® Preeminent Rating™ by Martindale-Hubbell® in recognition of his stellar legal services. 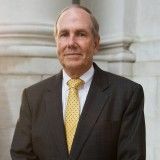 Rick Claxton, a member of the firm’s Litigation, Appellate and ADR practice groups, has over 30 years of courtroom experience representing clients ranging from individuals to Fortune 50 corporations. 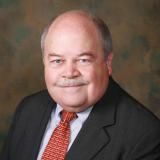 A veteran of dozens of jury and bench trials, Rick focuses his practice on complex business cases, such as corporate and partnership disputes, construction litigation, business torts, and employment litigation. 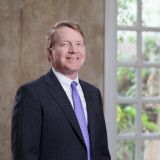 However, Rick has always maintained a diverse practice, including cases ranging from copyright and trademark litigation to representation of individuals with major personal injury claims. Some people facing divorce just want to work out a settlement that treats both sides, and the kids, respectfully, without wasting time and money fighting. Some people want to keep their personal business and finances private. Some people want to be the ones deciding how things are divided and what their relationship with the children will be like, rather than turning over the decision-making power to a Judge who doesn't know them or their circumstances. Many people know the stress of going to court is not worth the outcome. For those people, I recommend Collaborative Law. Wagner & Wagner is one of the longest-established law firms in Chattanooga. With more than seven decades of proven legal experience, our law practice has steadily grown through repeat business, valuable referrals and a tradition of client satisfaction.